The Kashmir Company's Dynasty Brand. Regal Home Furnishing from Kashmir. Exclusive Hand Knotted Silk Rugs, Carpets and exclusive furnishings from Kashmir. Carpet weaving in Kashmir continue a tradition that began in the 15th and 16th century during the Mogul dynasty, when artists and artisans from central Asia and Persia mingled and settled in Kashmir. Under the royal patronage of Emperor Akbar, the greatest ruler of the Mogul dynasty during the 16th century and an admirer of Safavid art, Kashmir carpet weaving flourished and carpets using the finest Kashmir silk and wool were created for the Mogul courts. The carpets which combined Kashmir tradition and Persian doctrine earned the status of a ‘school’, with Mogul craftsmen introducing new floral motifs(using a more naturalistic inflection than the sometimes highly stylized and thus stiff Persian motif) and animal motifs. These carpets borrowed the plan of the Persian carpets and then enriched it with a greater profusion of beautiful flowering buds (roses, lilac, bellflowers, violets, peonies, lilies as well as the ordinary repertoire) and wild animals (crocodiles, rhinoceroses, elephants and dragons). Often made of fine Kashmir wool and fine Kashmir silk, Kashmir carpets use Persian knots and can reach extremely high knot densities. 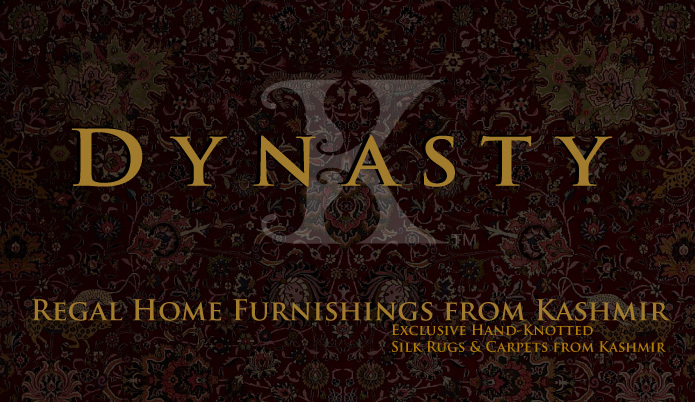 Dynasty is a line of exclusive and distinctive hand knotted Kashmir Silk Rugs and Home Furnishings inspired by the royal era of carpet weaving dating back to the 15th century, each creation an embodiment of traditions that span centuries. Each piece that we showcase is an heirloom- exquisite and magnificent, worthy of generating many avid conversations. We present to you a collection of exclusive 100% Kashmir silk rugs, grouped by common themes, no two ever alike. Each rug is one of a kind, some commissioned exclusively for Kashmir, and taking few years to weave. The collections are classy and exclusive and the creations distinctive and inimitable. Woven in the highest quality silk the carpets have a special sheen, light playing an important part in highlighting and reflecting the often earthy and rich colors. Each of our silk rugs have a very high knot density, making them some of the best that Kashmir carpet weavers have to offer. We at Kashmir Company are exceptionally proud of our distinctive Dynasty rug collections , and would gladly assist you with any enquiries you have regarding Kashmir rugs . We have made every effort to capture the beauty and color of the exquisite weaves with high resolution photography. We proudly present to you a very distinctive collection of the finest Kashmir silk rugs and Home Furnishings - Dynasty Collections. 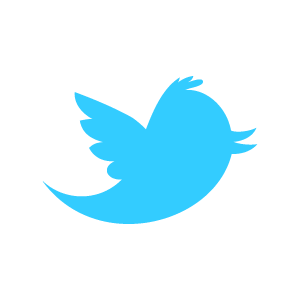 Index+ | © 2007-2015 The Kashmir Company.